After the United States was attacked by the Japanese Empire on December 7th, 1941 at Pearl Harbor, life for Americans of Japanese ancestry changed dramatically. Due to fear among the American public and paranoia that Americans of Japanese ancestry would remain loyal to Japan, Japanese-Americans were relocated and interned during the remainder of the war. Internment simply means that Japanese-Americans were removed from their homes and property and forced into work camps. 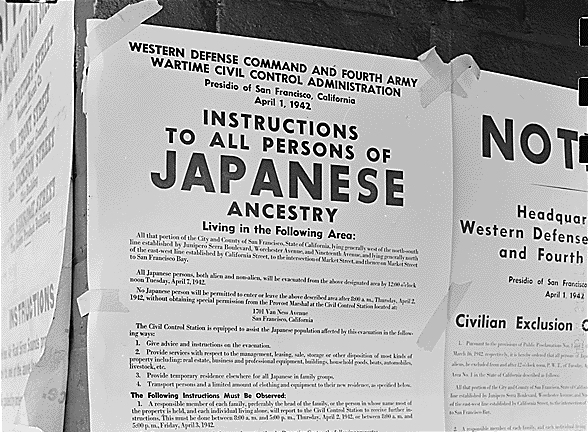 President Franklin D. Roosevelt signed an executive order in February of 1942, which relocated Japanese-Americans to the interior of the country and forced them to live in internment camps. These families were forced to sell their land, homes and possessions at a loss and move to the camps. Life in the camps was not easy and the people were not allowed to leave for fear that they would act out against the United States. Eventually in 1988, the United States Congress apologized for the event and compensated each survivor $20,000. 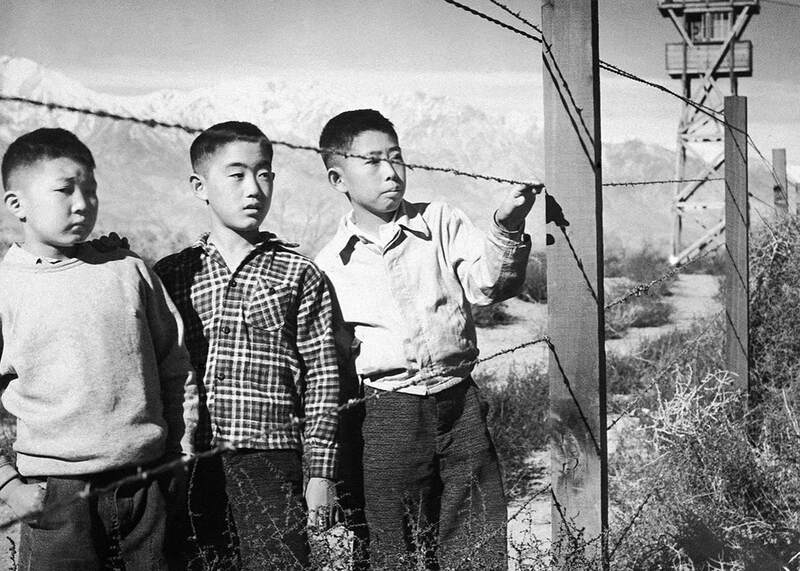 The internment of Japanese-American during World War II remains a dark chapter in the United States since it went against the democratic rights and freedoms that the country holds. ​Canada also interned people of Japanese ancestry during the course of World War II. Canada was worried that Japanese-Canadians would rebel against the country for being allied with the United States. Japanese-Canadians were interned for similar reasons and under similar conditions. As well, the Canadian government apologized for the period of internment in 1988.